Although forms of online learning have been available since the 1990s, this type of learning has since become integral to most levels of education, since it can reach more students with greater ease and at less cost. Online learning is now an essential form of education that provides students and educators with more flexible, cost-effective, and accessible forms of learning, training and instruction. You may have heard various terms such as e-learning, distance learning, distance education, online learning, to describe methods of learning outside the traditional face-to-face classroom. Online learning has enabled students to learn anytime and anywhere. In general, online learning can be described as access to learning activities and experiences via the use of some technology. Commonly, a learning management system (LMS) is used for the planning, administration, managing and delivery of online learning. 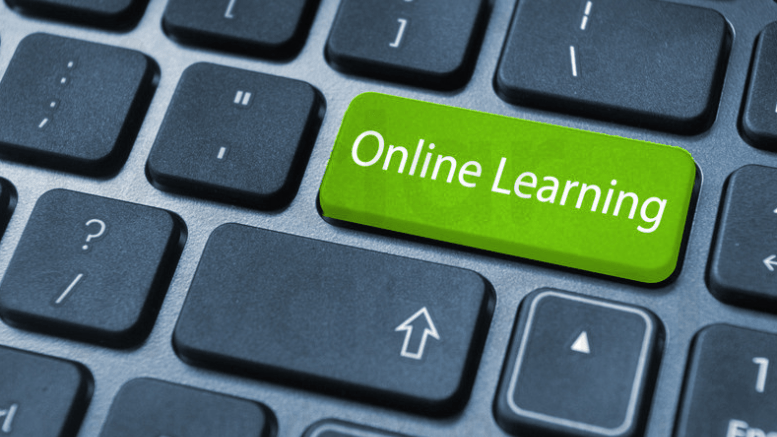 The term “online learning” covers a variety of instructional approaches, which include both fully-online and partly-online approaches. Online courses are delivered via the internet in either synchronous or asynchronous formats. With these classes, the student has no in-person meetings with the instructor or student peers. All content, learning activities and assessments are delivered online. Online courses offer great flexibility as they offer students the opportunity to study whenever and wherever. With this type of course, the instructor and students are all online at the same time, and the material is delivered in real time using methods such as chat or video. Students can ask questions, take tests, or participate in discussions online while the instructor is available to assist them. In this type of self-paced course, course materials (lectures, readings, forums, assessments, etc.) are made available for students to access and engage with on their own schedules. There will still be deadlines, and some asynchronous instructors will release materials on a week-by-week basis rather than all at once, but students can usually decide how and when they will work through the course materials. This types of online course is typically more flexible than the synchronous type with its set meeting times. In this type of course, traditional classroom pedagogy and approaches (including group work, student discussions, and lab work) are supported by online components, often utilized for content delivery by the instructor. In other words, the online component complements or even replaces class lectures, so that class time is used for more active learning activities that reinforce new skills and knowledge. These in-person class sessions may be held each week, or else at strategic pre-set times during the semester. There are a diverse range of forms that partially online courses can take, including: blended, small private online course (SPOC), flipped, and hybrid. With blended courses, students receive instruction online as well as in a traditional brick-and-mortar location. Online content delivery does not replace class lectures, and instead, the course’s online component typically comprises supplemental exercises or content. Although “Hybrid” or “Blended” are terms commonly used to describe online courses in which some face-to-face activities has been replaced by online learning activities; with a hybrid course, online instruction replaces half or more of the traditional class meetings in a brick-and-mortar setting. These online interactions – lectures, discussions, and assessments – are supplemented with in-person meetings at strategic points during the semester, such as the first day of class or the week before a major exam. With an SPOC, instructors use a blended approach to teaching, combining online platforms with traditional course settings serving a limited number of students. In many SPOCs, the instructor does not create the online content, and instead adapts it from a massive open online course (MOOC). In-person meetings are meant to develop and deepen students’ understanding of the content, and the online component supports this purpose. A flipped course utilizes a different form of blended instruction. Students in a flipped course gain their first exposure to new material before class meetings, usually through recorded lectures delivered online. Then during class time in a traditional brick-and-mortar setting, students test, apply, and develop their understanding of the online material through active learning such as discussions and problem-solving.